For the first half of the class, we’ll be working with an embedded net co-processor from Lantronix called the XPort Direct. We’ll also look at the regular XPort, WiPort and MatchPort from the same company. There are a number of options for hooking these up, many of which are covered in Making Things Talk. If you are comfortable working independently you’ll have the option to work with one of the new WIZnet modules from the company of the same name. There is basic support for these in Arduino, but they are not covered at all in the book. 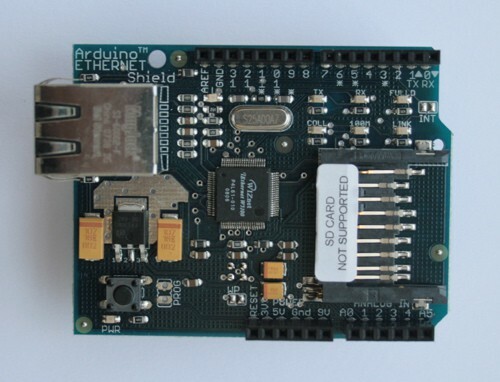 Probably the simplest option for Arduino users is to get the Adafruit Ethernet (XPort/WIZnet) shield for Arduino kit and an Xport Direct module. Adafruit’s located in NYC, but you’ll still have to order it by mail. For the regular XPort, you’ll need a breakout board to mount it to a breadboard. Sparkfun carries one, part number BOB-00716. 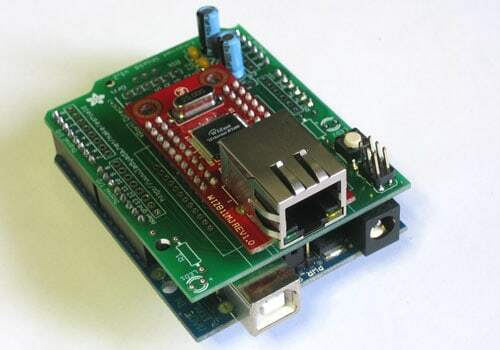 The Arduino Ethernet Shield is available from Sparkfun and uses the WizNet chipset. Adafruit makes an Ethernet Shield that takes either the XPort, XPort Direct or WizNet modules. You’ll also need a microcontroller, and the basic parts for physical computing projects, depending on what you decide to build. I’ll be giving examples using the Arduino module. In addition, we’ll look at various wireless modules including the XBee 802.15.4 and perhaps the XBee ZB and Telit GM862 embedded GSM box. 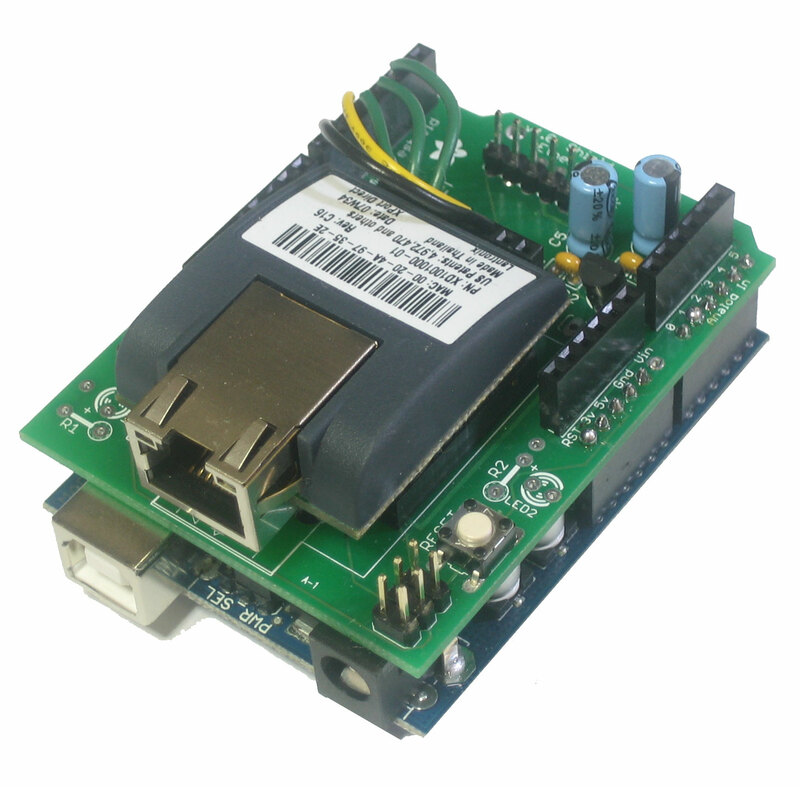 Although they are not really network modules we may demo an RFID module and/or GPS module as well. You’ll also be responsible for researching and learning to use any part you need for your own projects that we do not cover in class. You may use other net processors, microcontrollers and wireless devices if you prefer, as long as you can meet the requirements of the assignments. All of my examples will be shown on the XPort Direct, with some shown on the WIZnet module as time allows. Check with me in advance if you plan to use another platform.